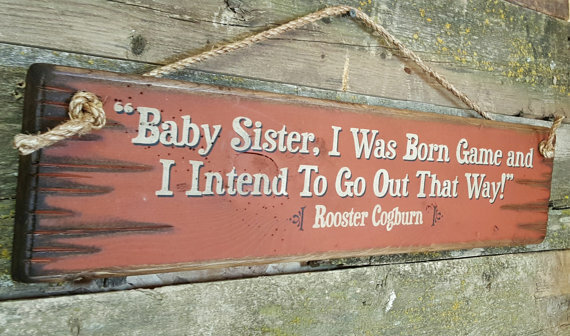 Baby Sister, I Was Born Game and I Intend To Go Out That Way, Rooster Cogburn. 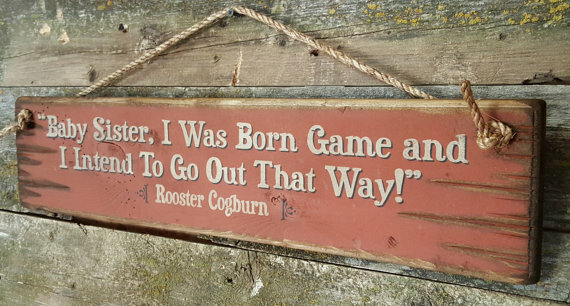 This is one of the popular lines from the movie Rooster Cogburn… and one of the best! This rusty red sign measures 5.5x24 inches and comes with the grass rope hanger for easy hanging. Handcrafted with pride!